with one or two Spectrum Aeromed or Lifeport beds accompanied by 3,600 litres of oxygen and a wide range of devices and principals of the latest generation in Wi-Fi and GPRS (General Packet Radio Service) transmission. All the best health care products and features are available to patients on board our aircraft. 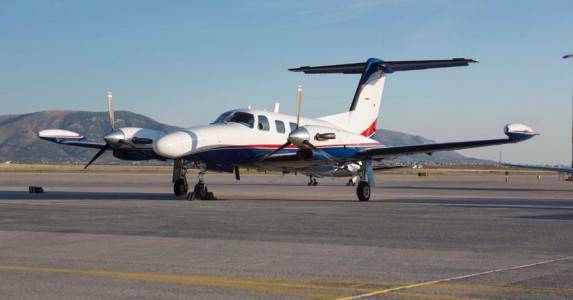 This makes Greek Air Ambulance Network a national and international reference point for leading companies to test the latest equipment designed to improve patient transportation. The crew and medical staff on board our aircraft feel completely at ease and safe in the knowledge that, even at 13,000 metres above sea level, they have the best and latest medical equipment and technology at their disposal just as they would in any high quality hospital. Each plane has 2 pilots that undergo periodic training in accordance to the principal companies of pilot training, CAE and Flight Safety, where they perform safety maneuvers regularly and continuously. All aircraft are checked and verified by the local authorities and are maintained by major companies servicing Europe.